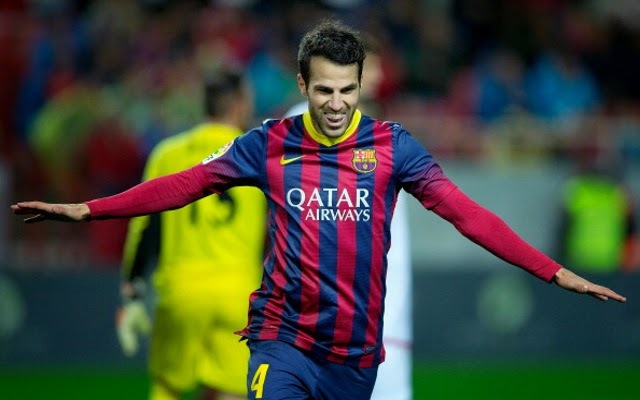 Does the signing of Fabregas indicate a chance of approach from Mourinho? What a massive day yesterday for Chelsea and a signal of our intent for next season with the signing of Cesc Fabregas. Does the signing indicate a change of approach from Mourinho? It's become clear over the last few seasons that 4-2-3-1 has been the preferred formation based on the players the manager has had at his disposal. A flat back four, two holding midfielders and three attacking midfielders playing around the one main striker up front has been the Chelsea way not without it's problems. Chelsea's Achilles heel this season has always been the wide areas and that was cruelly exposed by Atletico Madrid in the Champions League semi final. They opened us up out wide and punished us for not covering those positions. It's my view that the 4-3-3 formation provides the manager with a better foundation throughout the team and a better shape to defend those wide positions. With numbers spread through the framework of the team and across the pitch, we would have plenty of numbers available to deal with the threat from out wide. Don't get me wrong here, of course you can see the benefit of playing that way when you have the ball moving forward but I cannot help to think that with Chelsea looking vulnerable down the wings, Mourinho has seen at Real Madrid, the 4-3-3 formation is just as effective now as it always has been. Carlo Ancelotti in his first season in Madrid pulled off a master stroke by sticking to his guns, despite having Bale, Benzema, Di Maria and Ronaldo as fantastic options to stick with the 4-2-3-1 formation Mourinho had played with in the previous season. Ancelotti could see the energy and creativity that Di Maria had in his game and decided to play him as one of the two midfielders with licence to get forward just in front of the holding midfielder. Playing next to Luka Modric and in front of Xabi Alonso, Ancelotti was able to maintain the 4-3-3 formation he believes in and Madrid have thrived from it. So what of Fabregas at Chelsea and the position we think Mourinho will play him in? Well, let's start by looking at our 4-2-3-1 formation and straight away you would see him in the number ten role that had been filled by Juan Mata first of all, then Oscar and more so Willian towards the end of the season. Having played the last three seasons in Barcelona with their approach to the game, you would imagine that Fabregas would be ideally suited to the 4-2-3-1 formation having seen his ability to create and score goals. It's always been my opinion that at Barcelona the ex-Arsenal Captain was wasted. Having little or no chance of playing in his favoured role because of Xabi and Iniesta, he was pushed further forward but never really looked like he fitted in there. So much so, every time I had seen Barcelona play and Fabregas start, he would be substituted off for either Pedro or Sanchez. 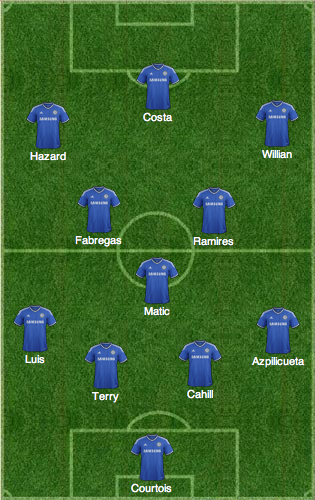 Fabregas is not a wide player as part of three up top or in the false nine formation either. I believe that Fabregas would be ideally suited to a 4-3-3 formation playing next to Oscar or Ramires and just in front of Nemanja Matic, with licence to get forward from deep. How many times in the past had we seen just how much of an influence Fabregas can have from that position. His ability to pick the ball up and make things happen is and always has been fantastic, but from a position where he can see the game opening up in front of him, not from behind him. You see at Barcelona he had to play second fiddle to the likes of Iniesta, Messi and Xabi and he suffered because of it. He was no longer one of the main men that the team looks to when they need something from nothing and the signing of Neymar last summer hampered Fabregas even more. I said it yesterday and will say it again, I truly believe that the signing of Cesc Fabregas is a fantastic signing for Chelsea. We were looking to fill a void in the squad left behind by the departure of Frank Lampard and with him being just 27 years of age, we have signed Fabregas as he moves into the best years of his career. By coming to Chelsea, Fabregas has a fantastic opportunity to get back to playing football his way, the way he has been brought up doing and the way he did for all those years at Arsenal. They obvious had the chance to re-sign him and turned it down, that's their problem. It's a massive sign of intent from Chelsea and from Jose Mourinho as he builds a team that WILL challenge for the Premier League title next season. Whether that's with a change of tactical approach and formation now that we have signed Fabregas, we will have to wait and see. I believe it will be. What do you think?